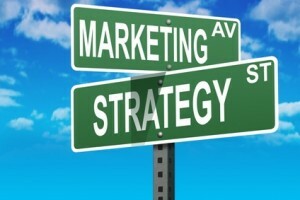 You need a marketing plan for your business if you are…. Many small businesses operate with minimal resources, limited funds and a unsystematic approach to marketing which proves costly in most situations. Having a strategic marketing plan tailored specifically for your business with focused objectives is one of the most important things you can do have a profitable business. Without a plan in place, precious time and resources will be wasted on efforts that don't generate results or profits. Quality Media Consultant Group offers the benefit of a professionally written marketing plan tailored for small to mid sized businesses. In addition, because your marketing plan should be fluid, we also offer basic consulting to ensure that you understand the contents of the plan and how it is used to grow your business. Client Needs Analysis: 60 minute consultation to discuss your business, products, services, goals and objectives. This session will be used to gather all of the information required for us to tailor the marketing plan to your business needs. Branding strategy: Because a strong brand identity plays a key role in marketing, we will lead you through the Quality Media Branding Blueprint. Marketing Plan Overview: We will develop your strategy and write a marketing plan for your small business that is cost conscious, effective and profitable for you..
.Plan Recap: 30 minute teleconference to review the marketing plan, strategies for implementation, address questions and provide answers.This plan does not include marketing research.